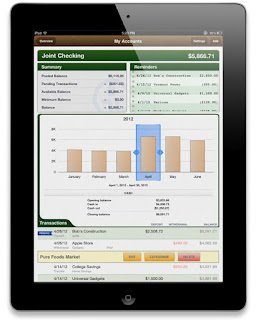 If you're not already using iBank, I encourage you to check out this great financial management tool! I've looked at several different solutions, including the highly acclaimed Quicken for Windows on a Mac. It goes without saying, I enjoy using my Mac without Windows and I don't feel I should have to compromise on that just because I want financial management software with a slick user interface and elegant reporting features. 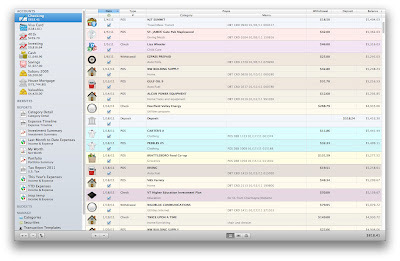 If you're a Mac user, you simply don't need to compromise with iBank. Feature set is important if not the most important consideration when reviewing software. iBank has it covered. I can't tell you how much I appreciate the attention to detail they put into every pixel of their apps. Ever since the developer gave me a review license, I still have yet to explore all it has to offer! You had me at color. Here is just one of my favorite features: customized and color-coded transaction categories! Money may be green, but maybe I feel just a little bit better when my mortgage payment transactions are a pleasing shade of cantaloup! Another important factor for me in selecting a personal financial management tool — or most any other software tool for that matter — is how well its supported. 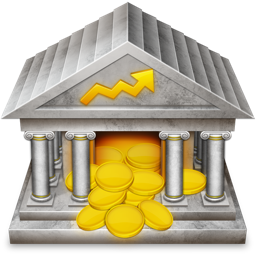 IGG Software is constantly updating iBank and making improvements. They don't leave you feeling abandoned like other product developers who take years in between to release half-baked updates. They pay attention to their customers and offer a community of support. 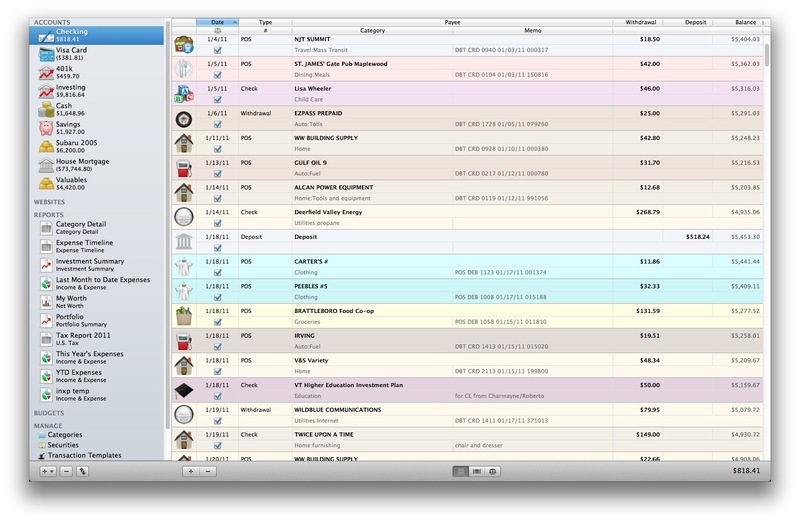 (PUTNEY, VT) — IGG Software today announced the release iBank 4.6, the market-leading personal finance application for Mac. This new version of iBank delivers a brand new set of tools for managing budgets, support for Retina Display Macs, and many other fixes and enhancements. Budget vs. Actual report view. Among the most popular feature requests for iBank 4, this new report view gives users a fast, easy way to visualize and compare their budgets with actual spending totals. The report view can be customized for specific time periods, and users can drill down by category to see transactions that make up their expenditures. Improved budget view. Now users have the ability to view and compare different periods (from the past, or future projections) in the main budget view window, to better see at a glance how spending has changed over time or how closely they are following their own budget goals. Faster performance and more. Besides significant speed improvements within budget functions, users can now edit the accounts used for a given budget, among other changes. Related fixes include correct updating to Actual Income and Actual Expense totals after changes to period or category. iBank 4.6 also adds support for Apple’s new Retina Display. Rounding out the update are additional fixes and improvements to performance, exports, bank downloads, reports, Smart Accounts and more. iBank 4.6 is free to current users of iBank 4, and is available immediately via the IGG website. It has been submitted to the Mac App Store for approval. IGG offers unlimited 30-day free trial downloads of iBank, free support (including Live Chat) and a 90-day unconditional guarantee on direct purchases from the IGG web store. The regular retail price of iBank 4 is $59.99; licensed users of iBank 3 can upgrade for $29.99. iBank 4.6 requires Mac OS X 10.6 or higher. The latest version can be downloaded at http://www.iggsoftware.com/ibank, where there is also access to a library of iBank 4 video tutorials. IGG Software, Inc., was founded in 2003 by developer Ian Gillespie to offer intuitive, elegant and powerful applications for individuals and small businesses. Based in Putney, Vermont, its flagship products are iBank, for personal finance management, and iBiz, for time-tracking and billing. For further information, review licenses, or to schedule interviews with Ian Gillespie or CTO James Gillespie, please contact IGG Marketing Director Scott Marc Becker: scott@iggsoftware.com. Does Your Mac Have Companions? Mine does. So does my Husband's Mac. (as does our children's Mac!) We have a whole family of gadgets that like to play together and guess what, they have apps for them too! "Honey, what was the name of that restaurant we went to last month? Want to have dinner there again?" There are times when you don't want to be tethered to your desktop or really want a smaller form factor than a laptop but more features than an iPhone app. That's where iBank for iPad comes in. Just take a look at the gorgeous interface it offers. They even provide an interactive tutorial. That's a class act. In conclusion, IGG Software, Inc. has created a suite of products for the consumer and small business that puts you in charge of managing your finances with helpful tools that are secure, easy to use and even easier on the eyes. The apps run on all of your devices while the most personal of information is not shared with advertisers like some of the web-based apps on the market. You control how your own information is used and there are incredibly flexible reporting features built in. The developers support and promote their product with great enthusiasm and attention to detail. If you don't believe me, just ask this kitten. Thanks so much for your suggestion...I just started using it and I love it! I like it better than Mint (which is what I was using previously). Thanks!